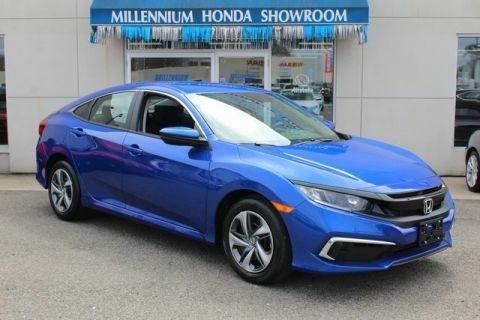 * Lease a 2019 Honda Civic Hatchback LX CVT for $219 per month for 36 months. $2,199 down payment. Offer expires 4/30/2019. The 2019 Honda Civic Hatchback is designed for the modern driver. Compact, agile, and suitable for a variety of different lifestyles, there is something for everyone with this hatchback vehicle. Find the Civic Hatchback in five trim levels for 2019; LX, Sport, EX, EX-L Navi, and Sport Touring. 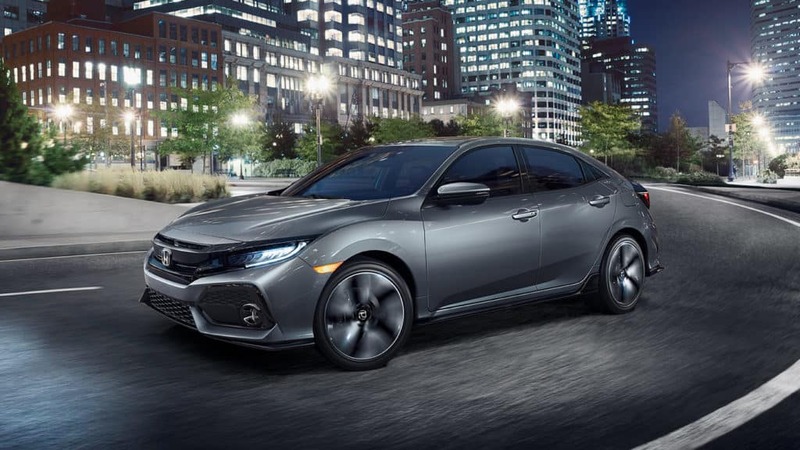 The 2019 Honda Civic Hatchback is powered by a 1.5 liter turbocharged four cylinder engine. This engine is mated with a continuously variable transmission to provide a responsive and in-control feeling to those behind the wheel. Together, this engine and transmission pairing earns 174 horsepower. 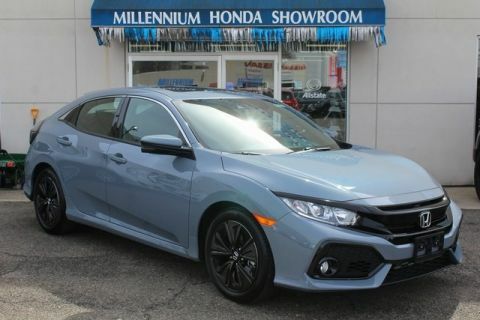 The base trim of the 2019 Honda Civic Hatchback additionally offers stunning 16 inch alloy wheels, a five inch color LCD touchscreen on the interior dashboard, a USB audio interface, and an automatic climate control system. Entertain riders, access convenience features, and keep passengers comfortable with these standard features. The 2019 Honda Civic Hatchback is all about safety. This hatchback vehicle comes standard with Honda Sensing. Honda Sensing is a suite of safety features designed to provide assistance to drivers when getting from here to there. 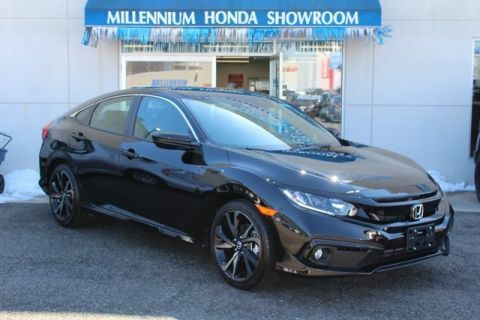 Car buyers can find the 2019 Civic Hatchback with lane keeping assist, adaptive cruise control with low speed follow, road departure mitigation system, and collision mitigation braking system. The interior of the 2019 Honda Civic Hatchback has seating for up to five passengers. The cabin of the Civic Hatchback is versatile, allowing space for passengers or storage space. Transport luggage, groceries, small furniture, and so on with your Civic Hatchback. 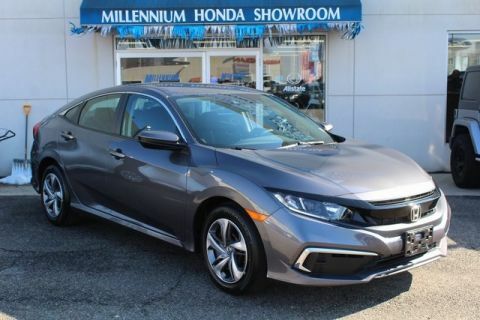 To test drive the 2019 Honda Civic Hatchback, make your way to Millennium Honda. Our new and used Honda dealership can be found at 286 N Franklin Street in Hempstead, New York. You can also contact our sales staff at 877-557-8230 to learn more information about this tremendous hatchback. We hope to hear from you soon and can’t wait to show off the Honda Civic Hatchback to you! 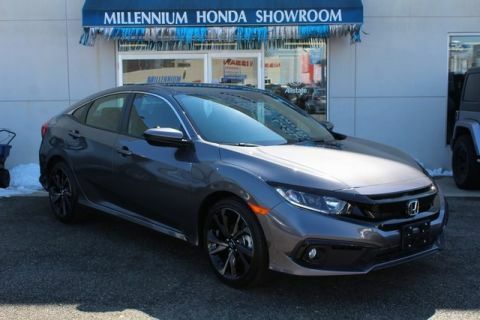 * Lease a 2019 Honda Civic Hatchback LX CVT for $199 per month for 36 months. $2,199 down payment. Offer expires 4/30/2019.